Shorty the cat knows what it’s like to battle addiction; she’s got it real bad for that banana toy. 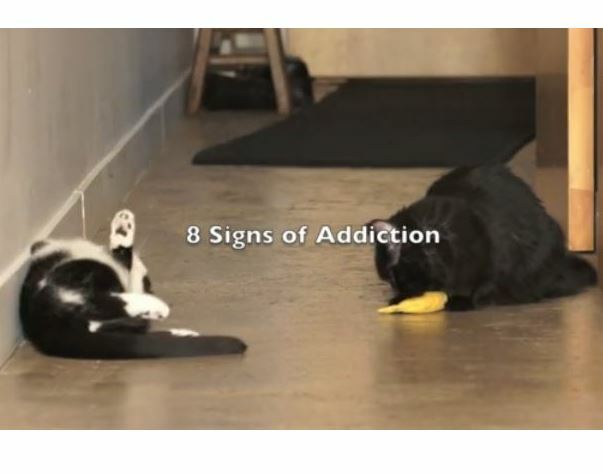 Shorty the cat knows what it’s like to battle addiction; she’s got it real bad for that banana. Watch for these 8 signs of addiction to confront your own behavior and transfer all that compulsion to The ShoKo Show!